A friend of mine came to the US to further his musical studies. During his time in Los Angeles, he fell in love with food trucks and dreamed of having his own one day. Having moved to Boston and failing to find food from his native Uyghur culture, he decided the time was right to turn his dream into a reality. He connected with me to help him with various aspects of building his business from the street up. 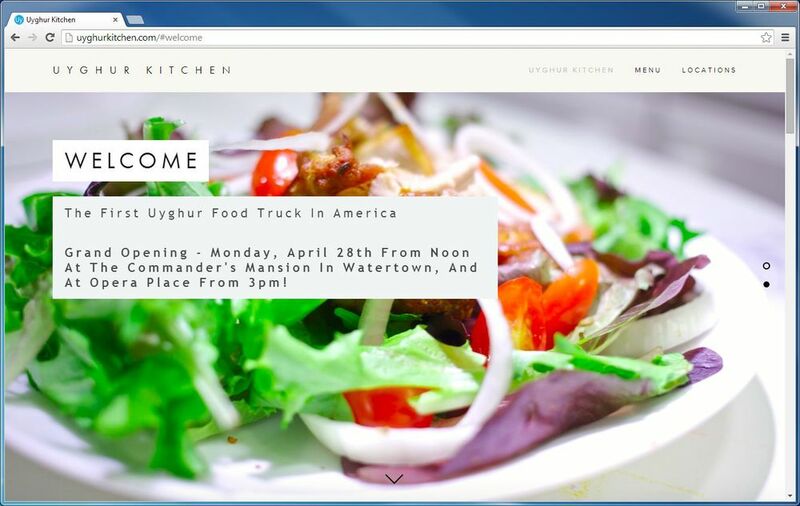 Created website, promotional materials, and signage for debut of Uyghur Kitchen Food Truck according to client's wishes; completed and assembled paperwork for licensing process, coordinated with vendors, and provided design consultation as well as image preparation for website and social media outlets.